PCOS which stands for Polycystic Ovary Syndrome is an endocrine disorder where the normal hormone cycle is interrupted. As the name suggests women with PCOS have poly (many) cysts present in the ovaries. PCOS presents itself with symptoms such as irregular or missing periods, weight gain, acne, excess or unwanted body hair or hair on the face. Romaine Lettuce: A common ingredient in salads, romaine lettuce is a good source of chromium which is very important for improving insulin sensitivity. Chromium is a component of GTF (Glucose Tolerance Factor) which helps to normalize blood sugar levels which may be elevated in PCOS due to insulin resistance. In other words, chromium helps to improve the insulin sensitivity of the body. Also romaine lettuce is very low in calories and contains fiber, so it fits in perfectly for weight loss which is the first mode of treatment for PCOS. Barley: Barley boasts of being one of the lowest GI grains. Low GI means that on digestion it does not lead to a sudden glucose rush in the body and so does not cause release of insulin in large amounts by the pancreas, which helps in better glucose management and does not let the glucose get converted to fat easily, therefore preventing obesity. Low GI foods are digested slowly and they keep an individual fuller for a longer time, thereby helping them avoid hunger cravings. Hulled barley, is the most nutritious form of barley and may be available in health stores. Cinnamon: Cinnamon has properties that help increase insulin sensitivity and fight against insulin resistance. Just half a teaspoon of cinnamon in a day has been shown to be very effective to normalize blood sugar levels. The main active ingredient in cinnamon is hydroxychalcone, which enhances the effect of insulin on the body’s cells and helps to maintain the blood sugar within normal range. Licorice Root: Licorice has been identified as a medicinal plant for thousands of years. Research has shown that Glycyrrhizin present in licorice root helps to bring down blood testosterone levels in women. This is good news for women suffering from acne, excess facial hair, and balding due to an increased level of testosterone hormone which is a common occurrence in PCOS. However one needs to keep in mind that large quantities of licorice can lead to high blood pressure, edema, heart problems, and some medical complications. Sesame Seeds: Sesame seeds are loaded with nutrients beneficial for women with PCOS. Just half a cup provides more than quarter of the recommended intake of vitamin B6.They are an excellent source of calcium, magnesium, and zinc. 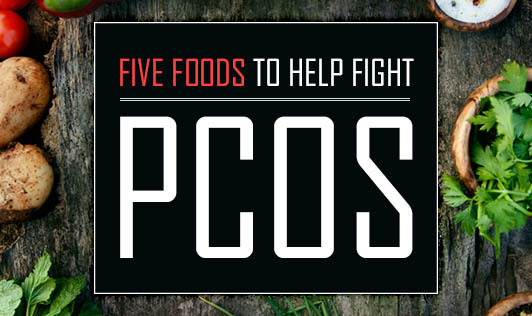 These nutrients help to relieve from symptoms of PCOS. They also have a crunchy texture and can be sprinkled on a variety of Asian dishes.